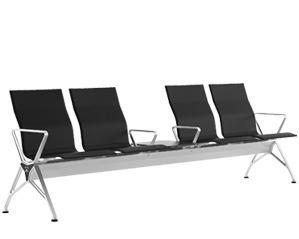 Airports are evolving, becoming dynamic and complex mega-urban multicultural environments where people spend time waiting, eating, working, shopping and relaxing. 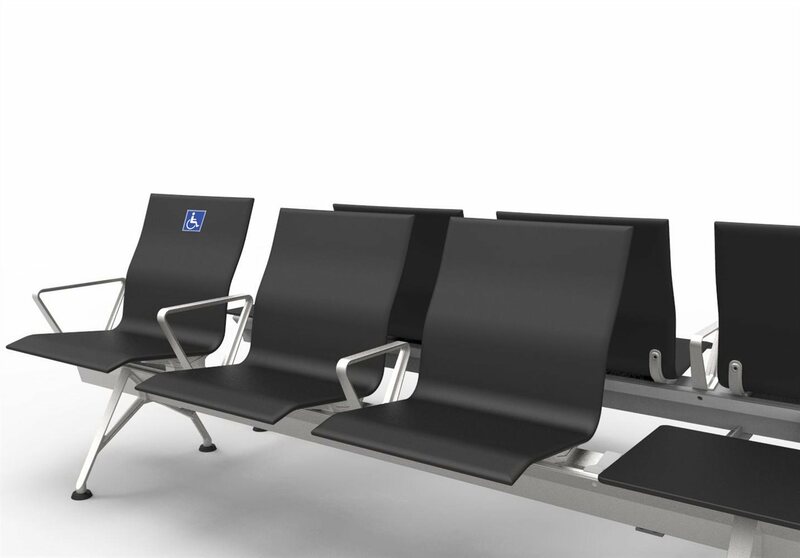 The undeniable requirements for such a “new village” are ergonomic comfort during waiting time, technological support for the working travelers, personalized seating solutions for different accessibility needs, flexibility and adaptability for high density traffic areas. 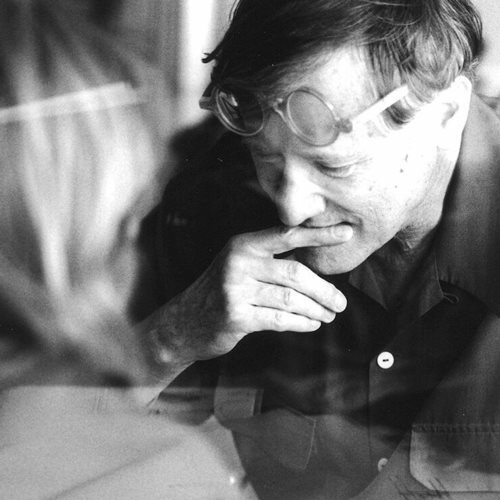 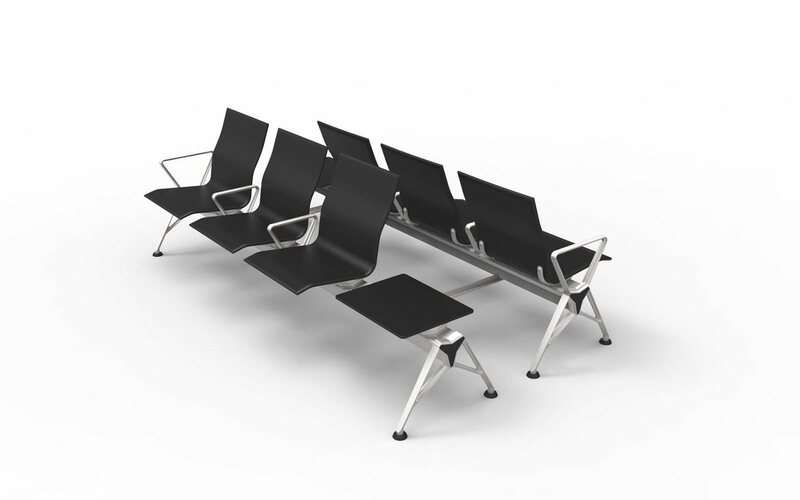 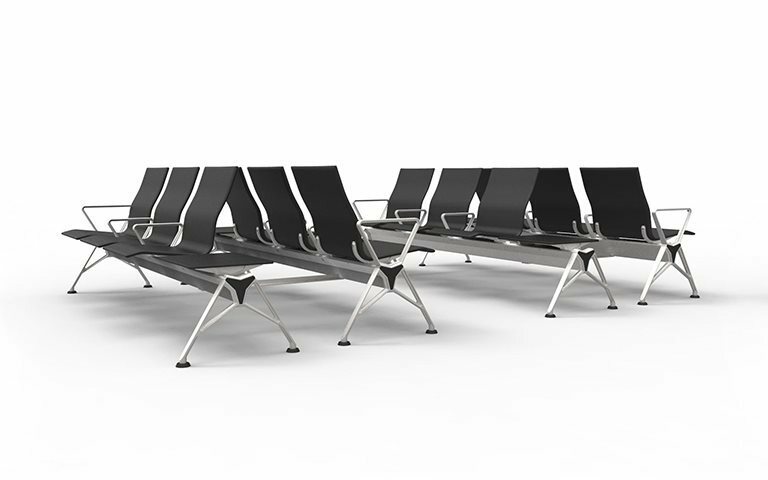 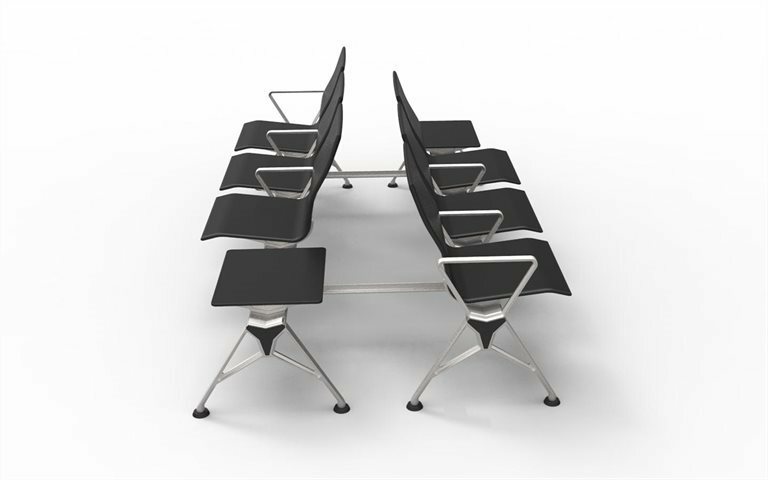 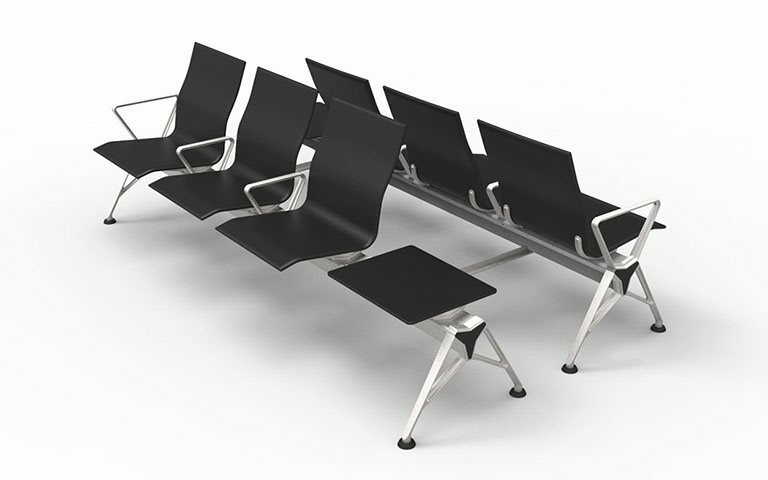 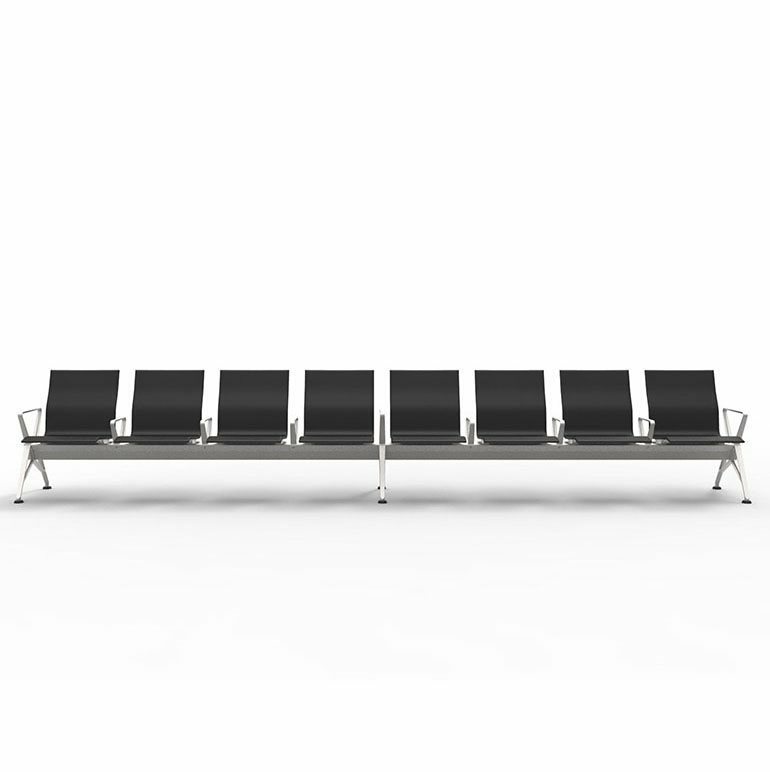 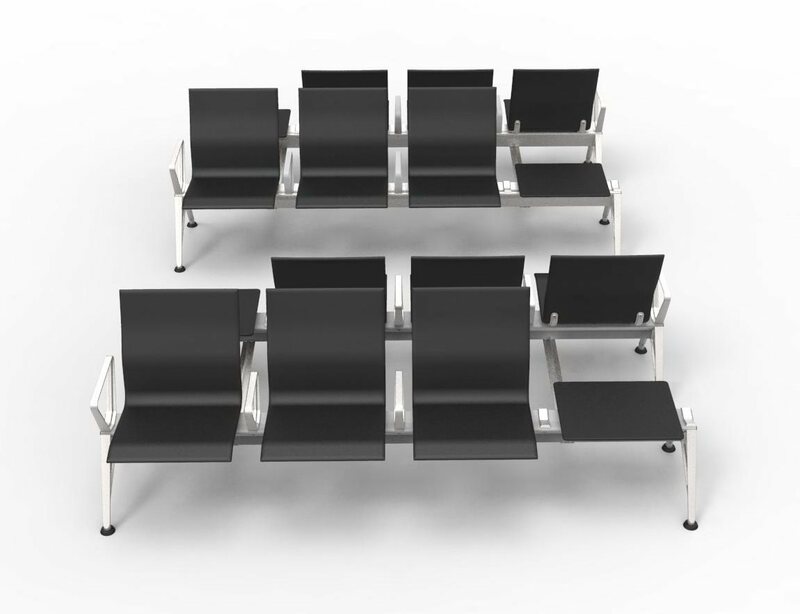 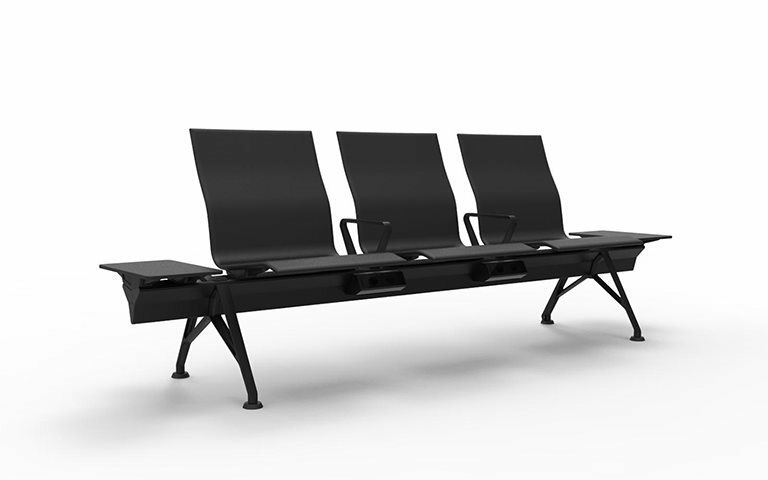 Analysis of behaviour within public areas was fundamental in developing Aeris, the bar-based bench system designed by Grimshaw for the airports. 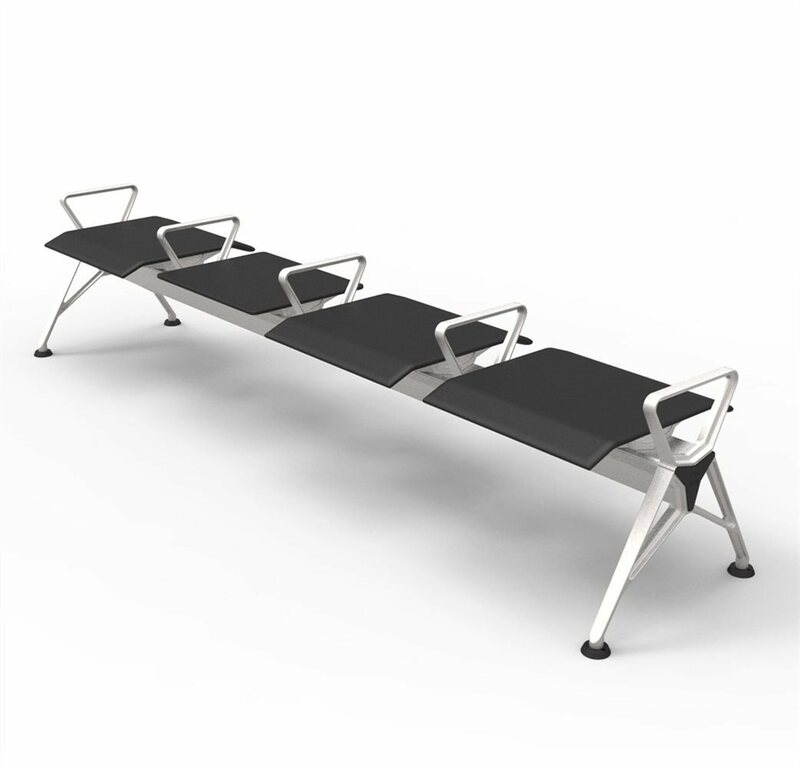 The iconic star-shaped structural bar is not only a peculiar aesthetic feature but also the functional core of the aeris system. 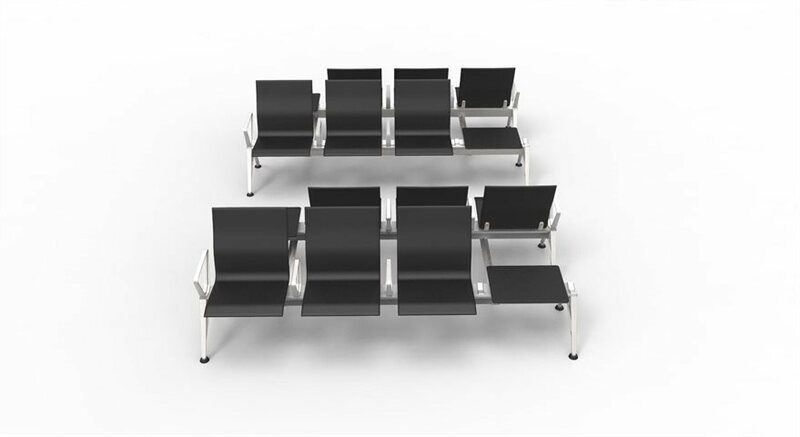 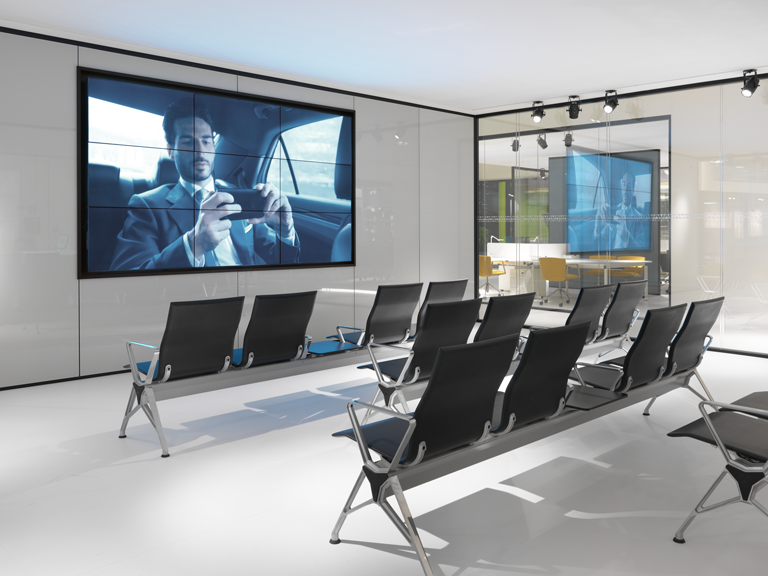 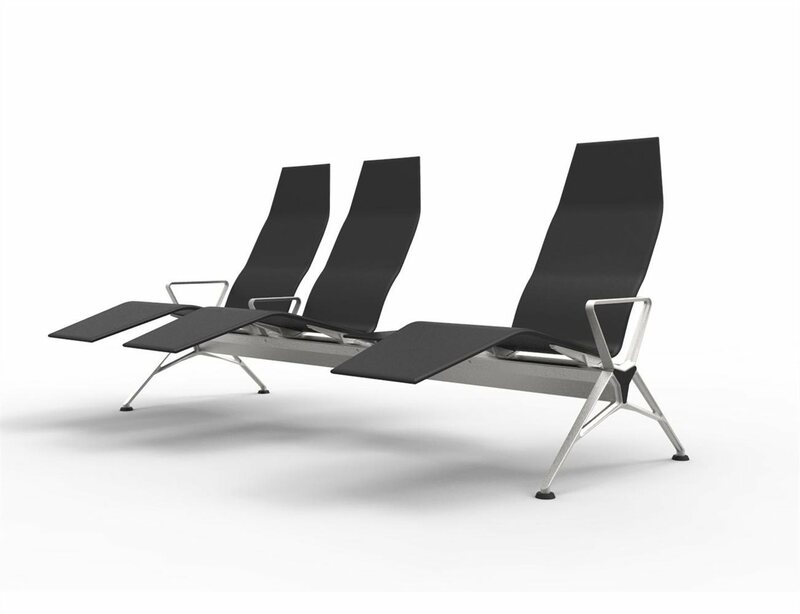 The easy assembly of the single elements on the structure and the possibility of joining an endless number of benches, allow Aeris to satisfy the widest range of layout requirements that can be reconfigured over time. 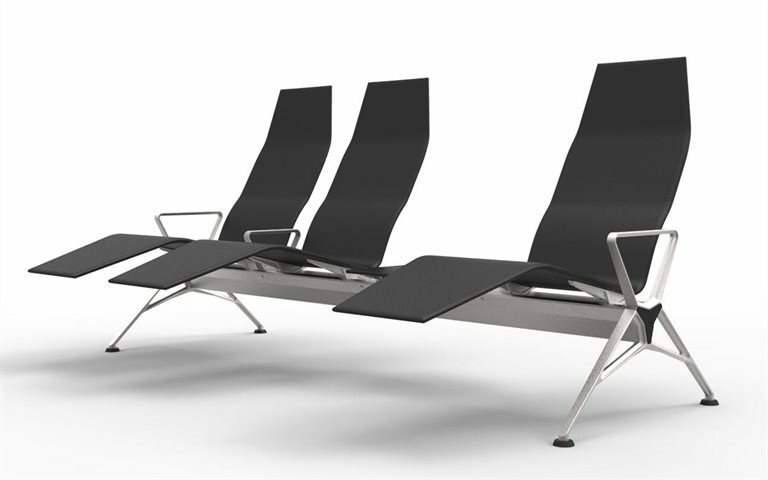 The legs and armrests are studied to achive the maximum of strength and solidity, together with the utmost aesthetics lightness. 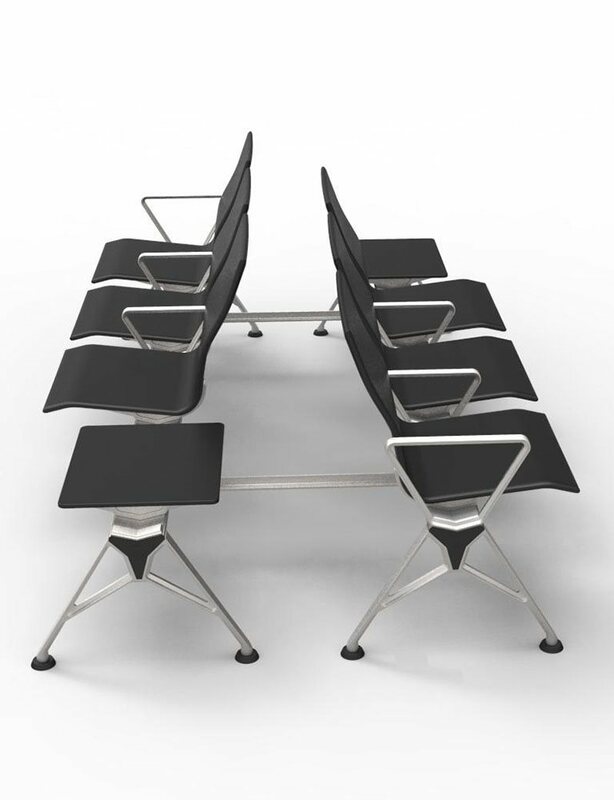 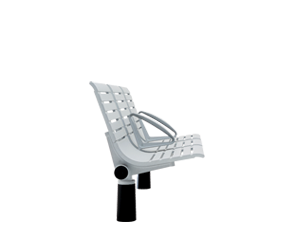 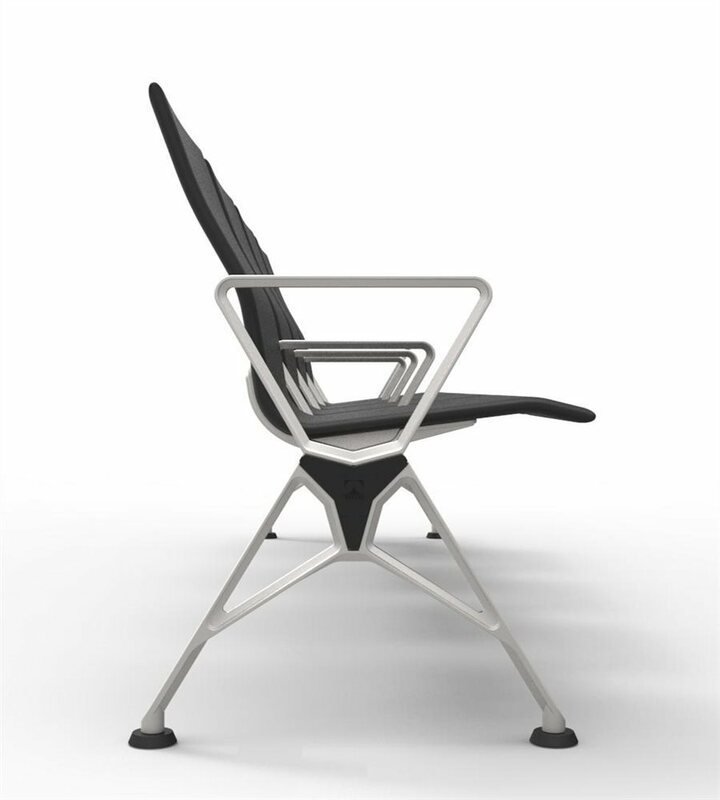 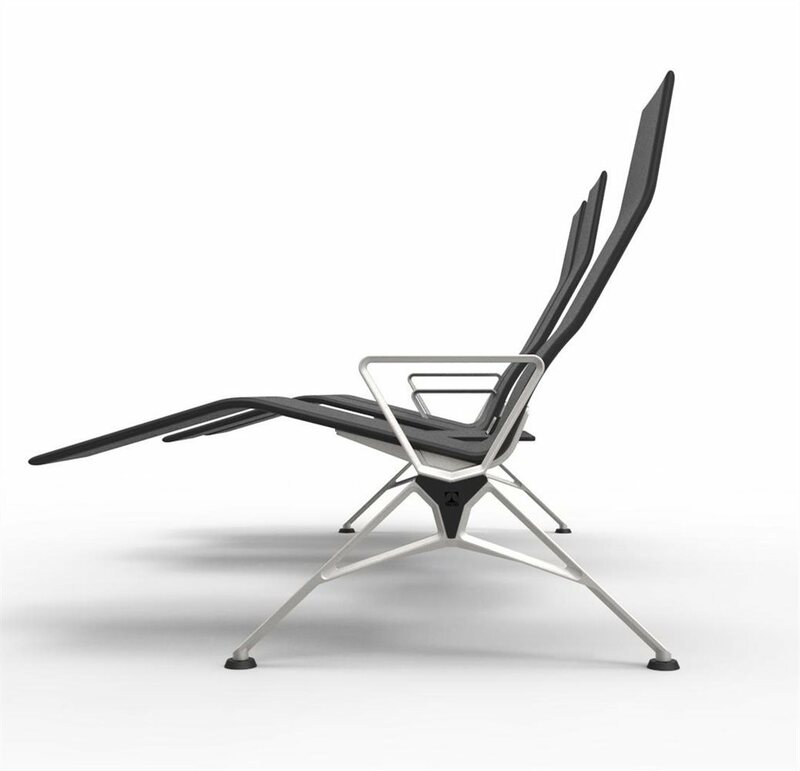 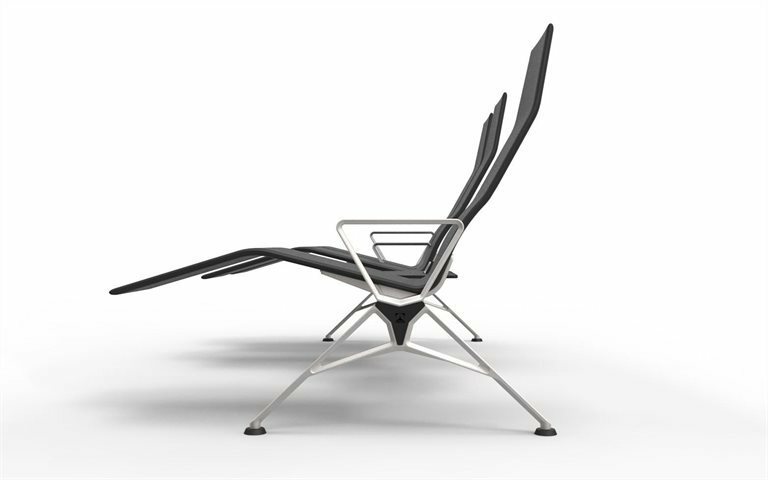 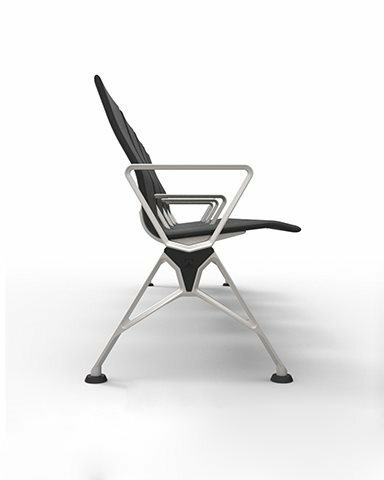 The design of the monocoque seat lends the entire composition slenderness and dynamism. 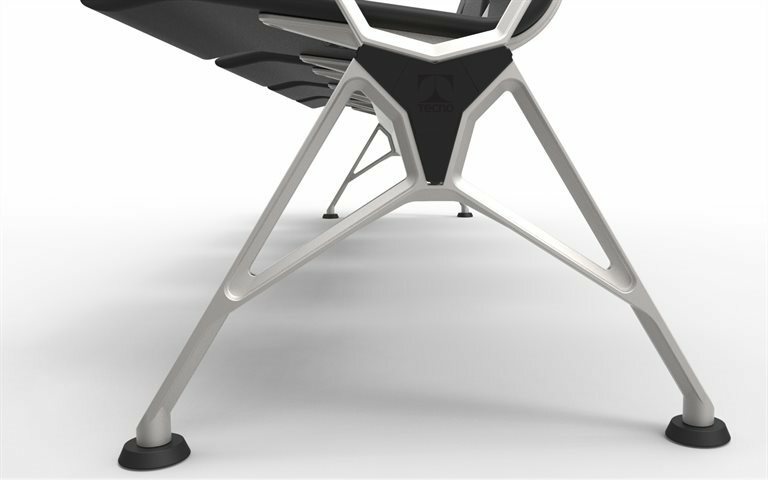 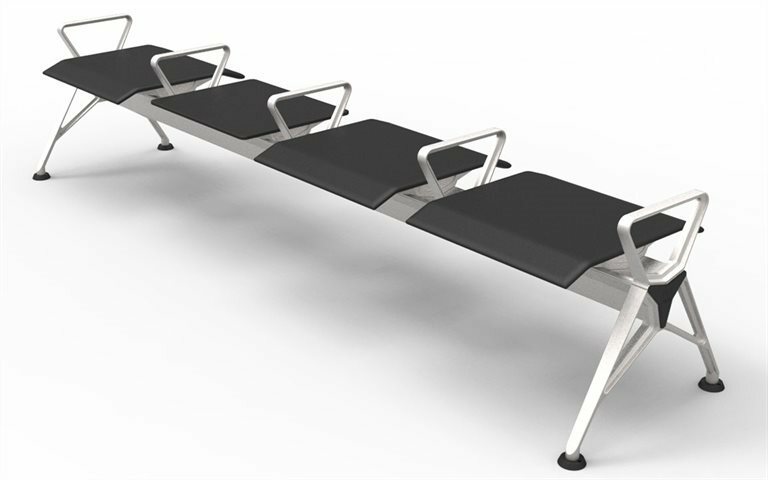 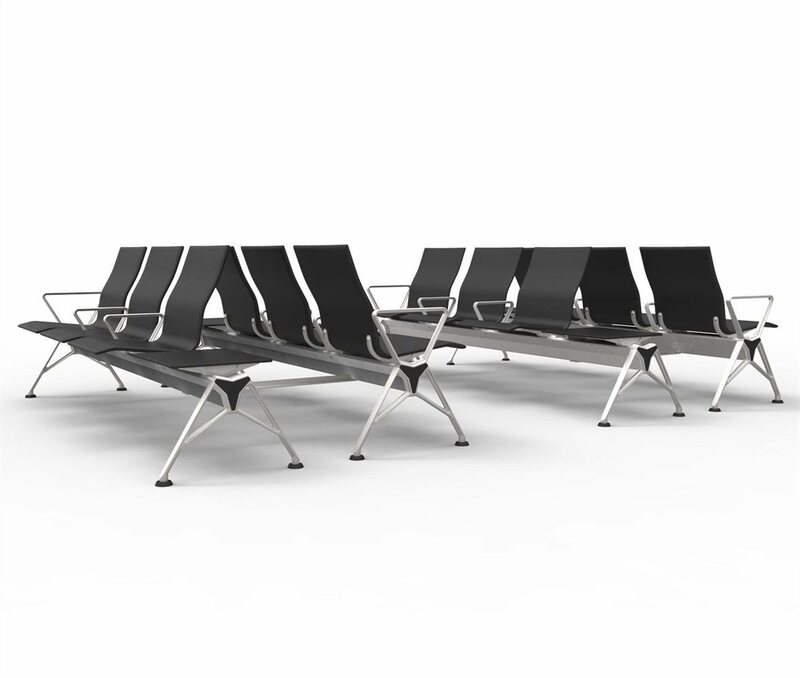 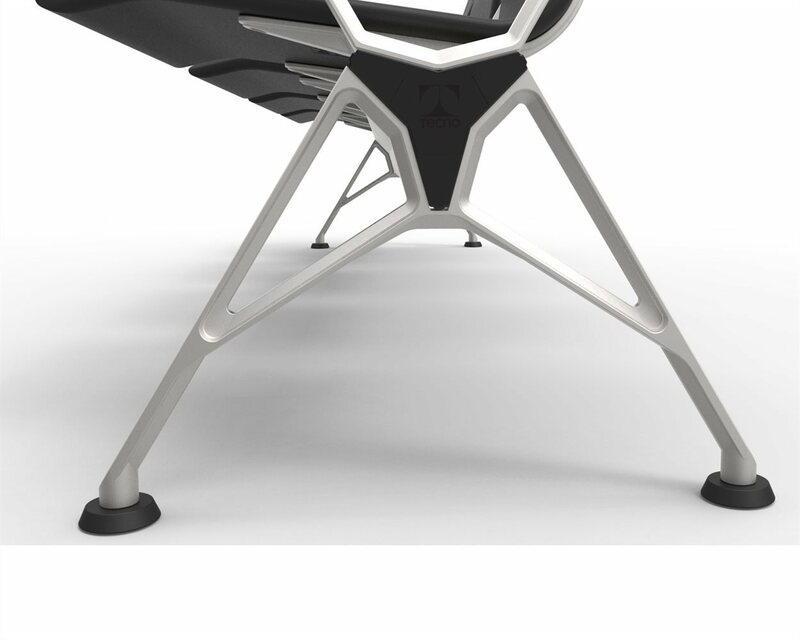 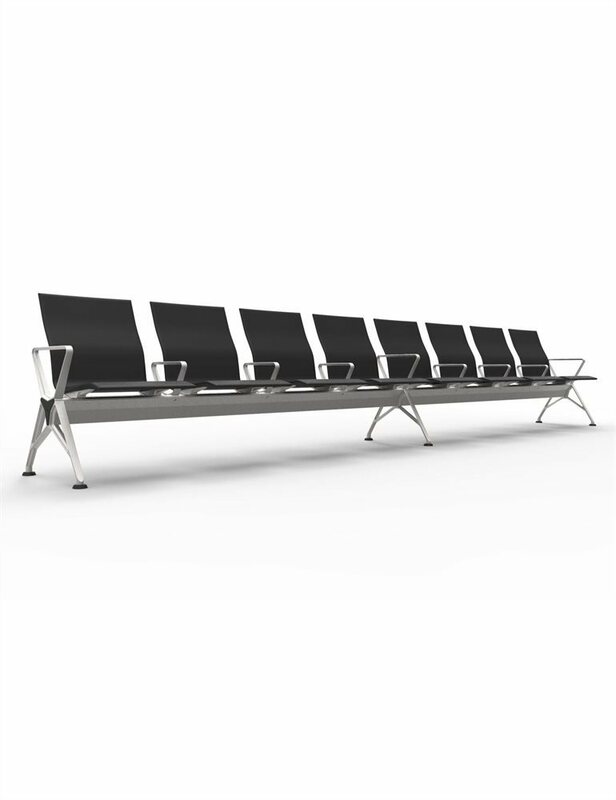 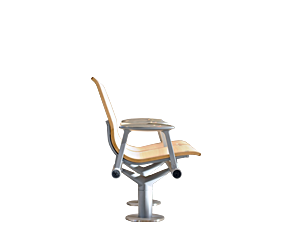 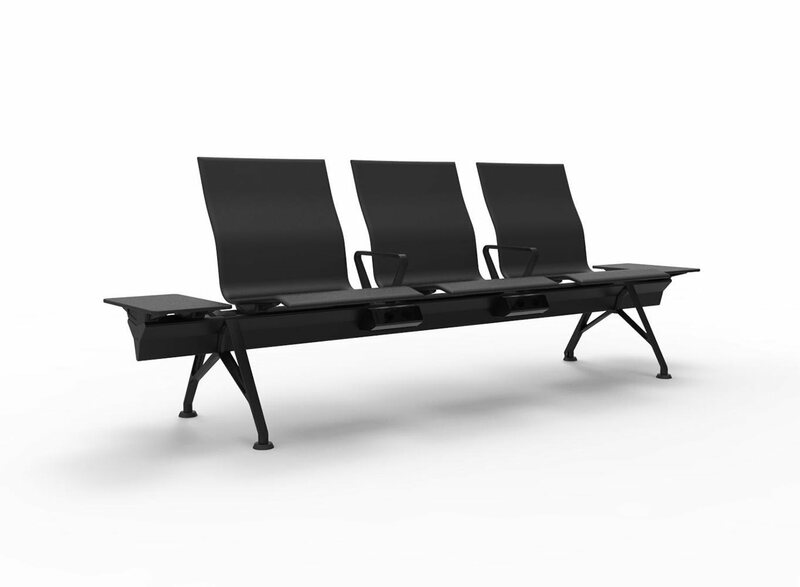 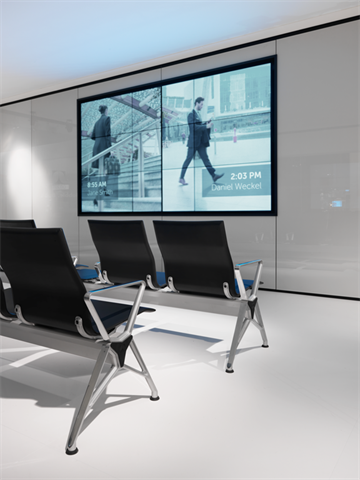 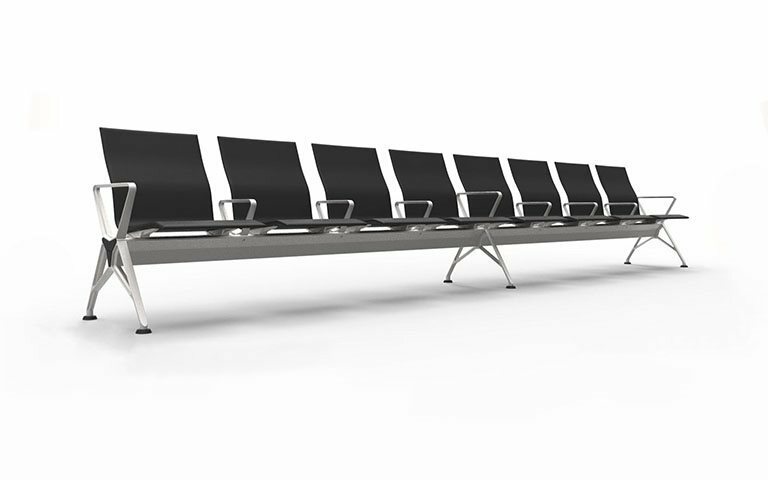 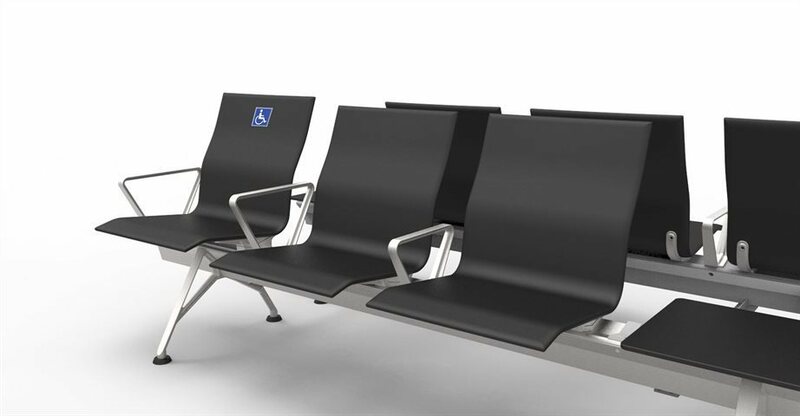 The integration of io.T technology, through several sensors positioned inside the body of the seat, enables the smart bench capacity of gathering and sending information useful for the optimisation of airport management in real time.